35,000+ loyal customers can't be wrong. Trust to the best! 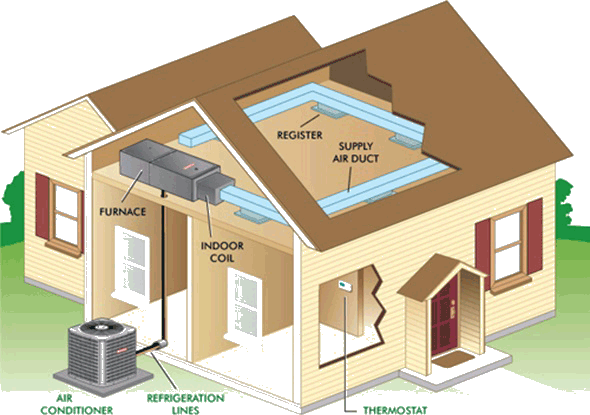 Need to repair or install an A/C system at your home? We’ve got your cooling needs covered! If your current heating system isn’t functioning like it should be, give us a call. Annual maintenance helps prevent 85% of all repairs and extends the life of your HVAC system. Whether you require a simple AC repair or full HVAC replacement, Airflow Heating & Air is available 24/7. Our experienced technicians can service most makes and models and arrive with fully stocked vehicles for your convenience. You can always count on upfront written estimates and our 100% satisfaction guarantee.